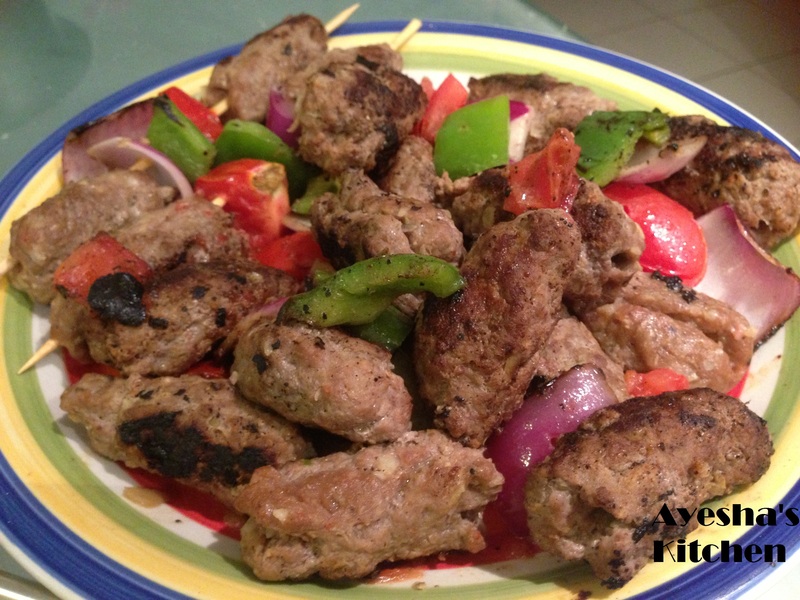 A very easy and tasty appetizer ………. -Chop beef and onion in chopper. -Now add all the spices and mix. On skewers screw mincemeat, onion, tomato and capsicum. -Serve hot with mint sauce and naan.